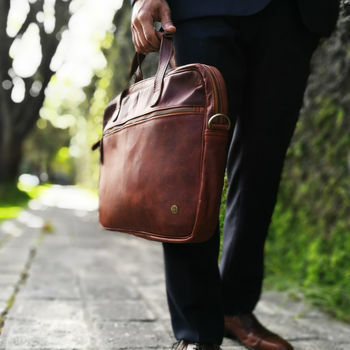 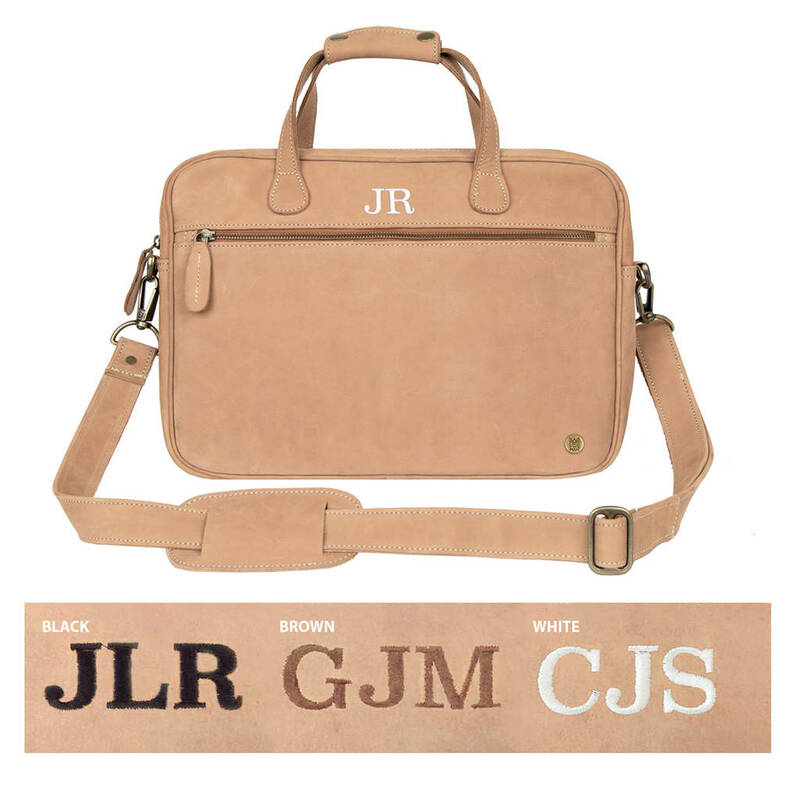 This ultra-compact, lightweight leather laptop-case is perfect for those on-the-go, in need of a robust, convenient bag to store and protect their work essentials. 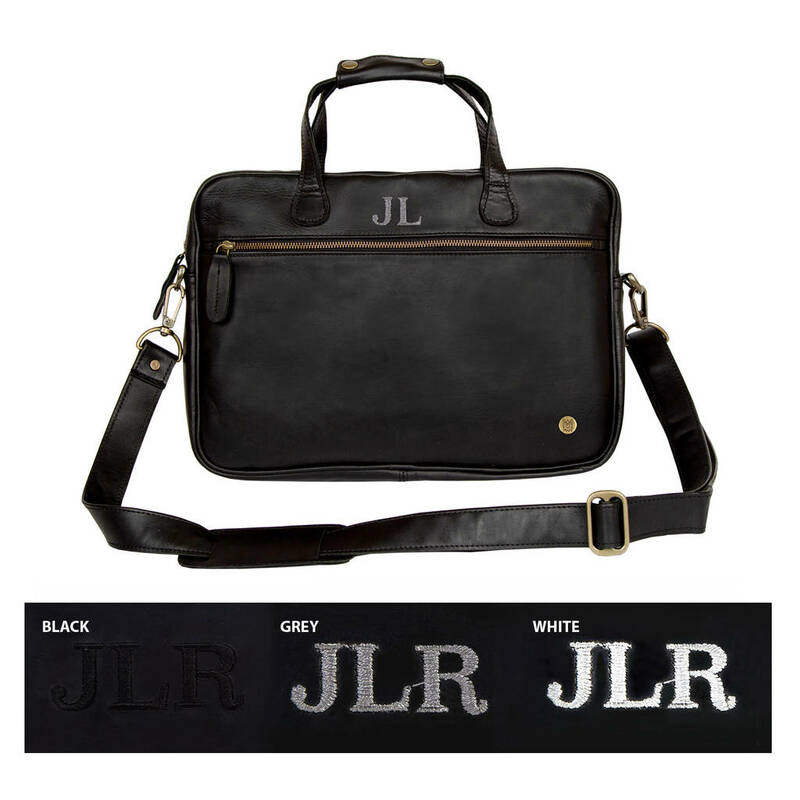 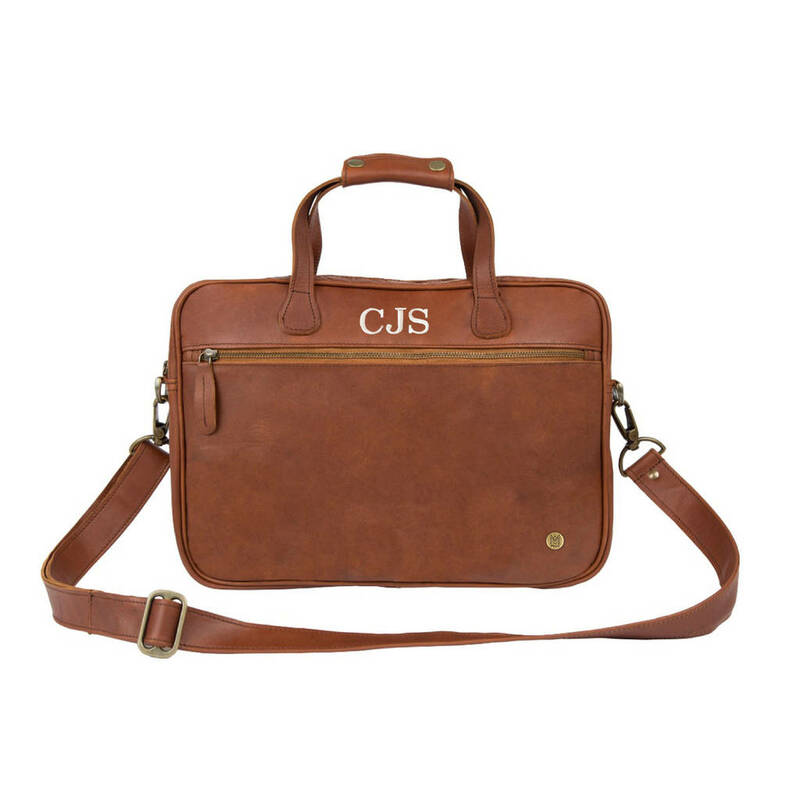 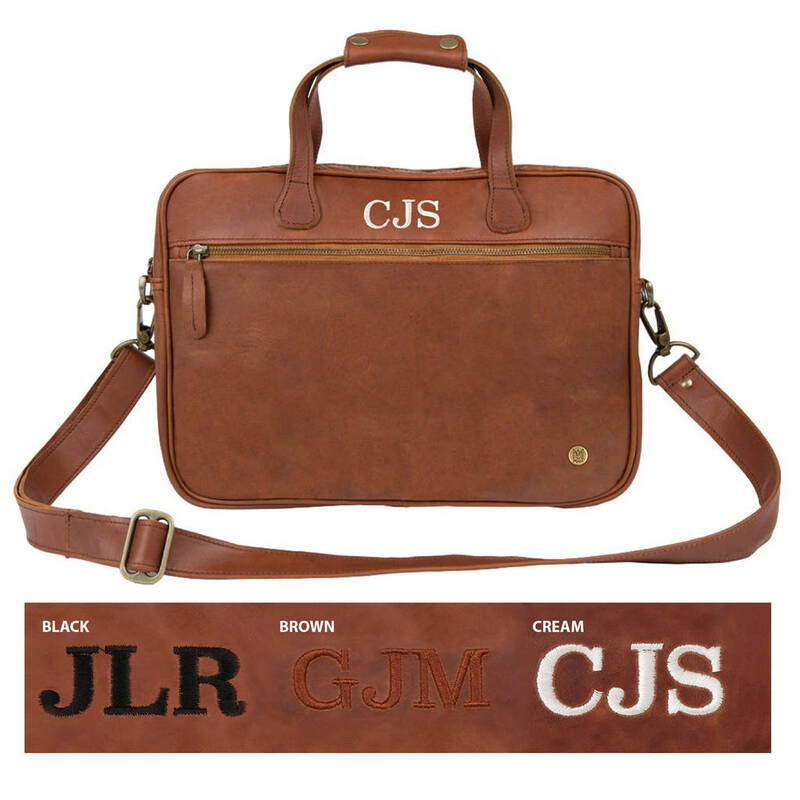 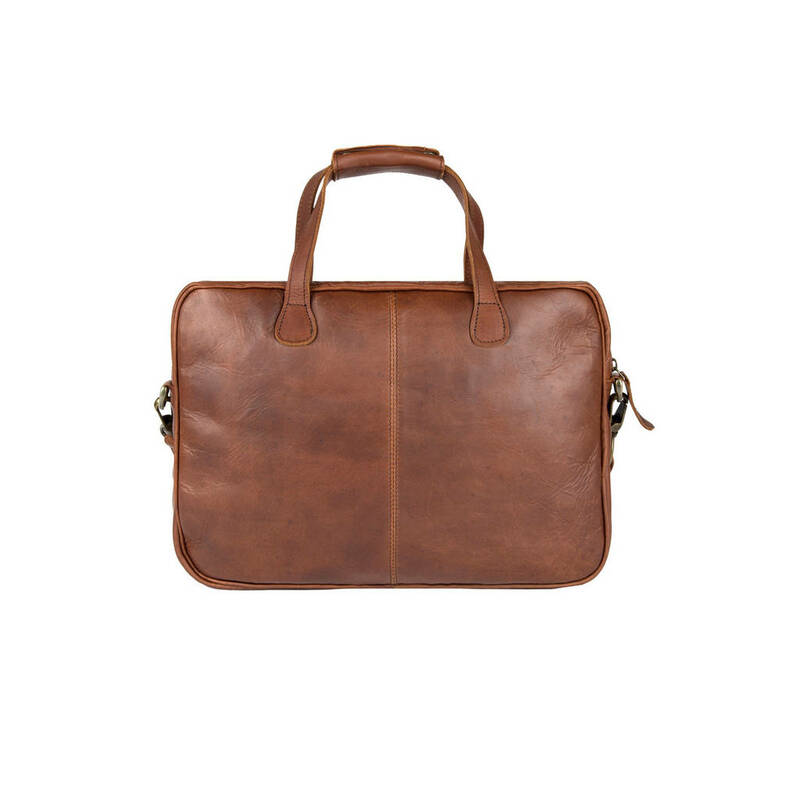 The Compact Laptop Satchel can comfortably accommodate a 13" laptop, an iPad, and an A4 pad (see internal image). 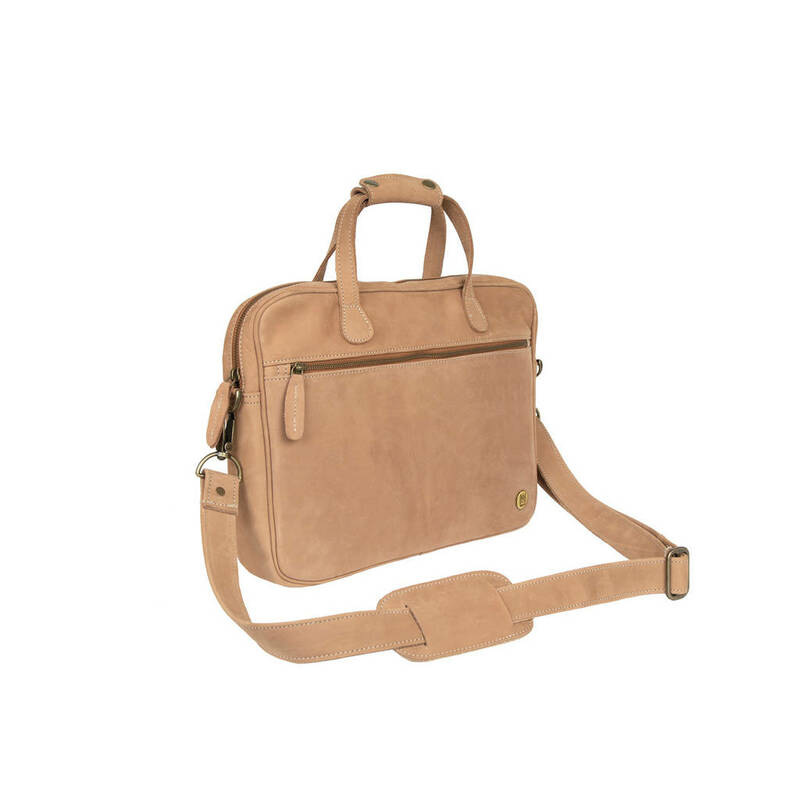 This Satchel is a great compromise between more minimalist laptop cases and larger satchels that are often surplus to requirements. 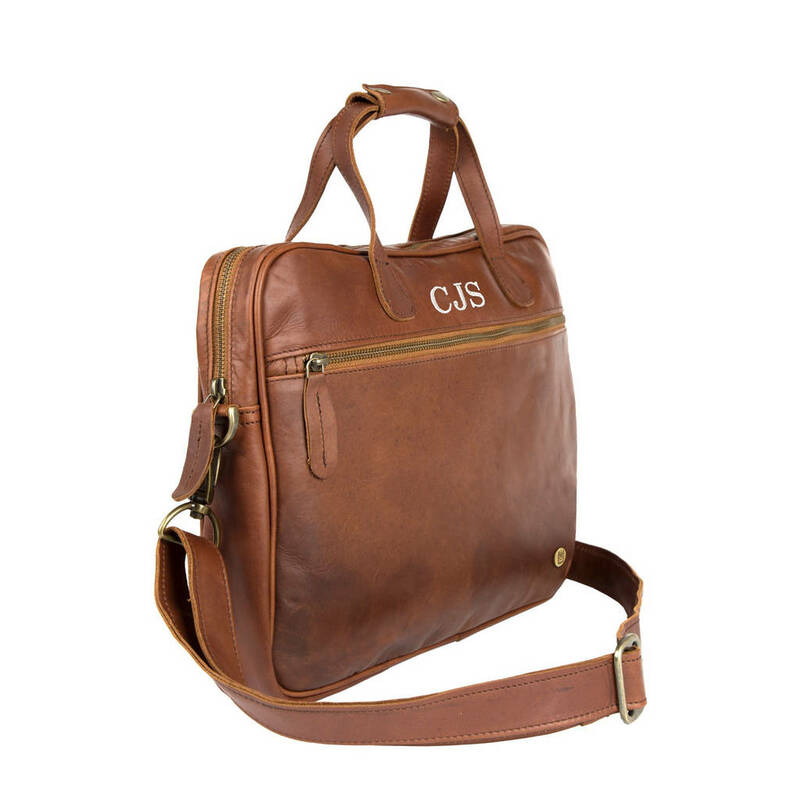 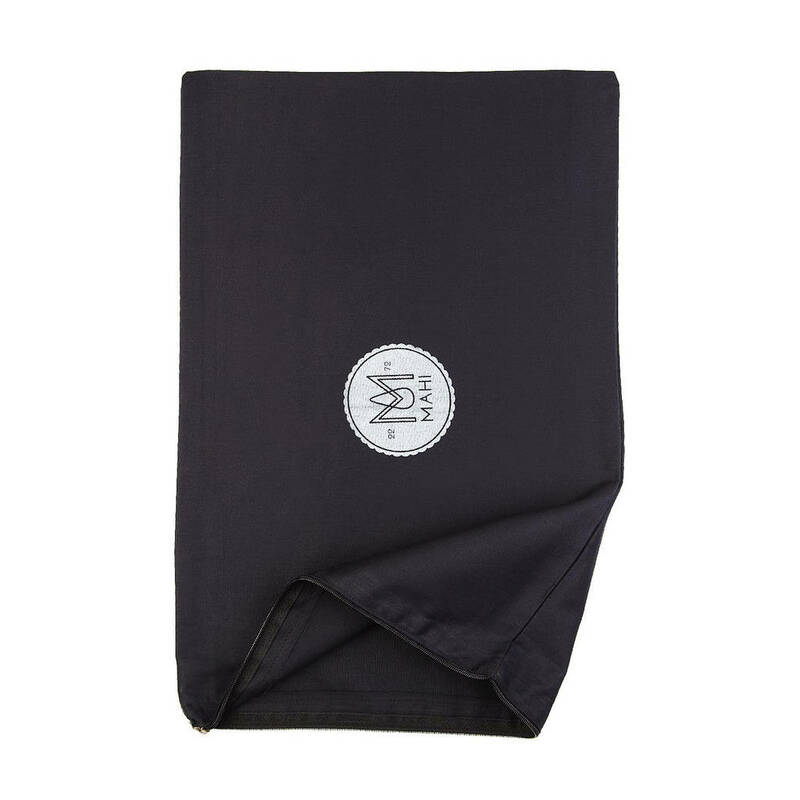 This compact satchel benefits from a large external pocket along with a smaller internal pocket for your everyday valuables. 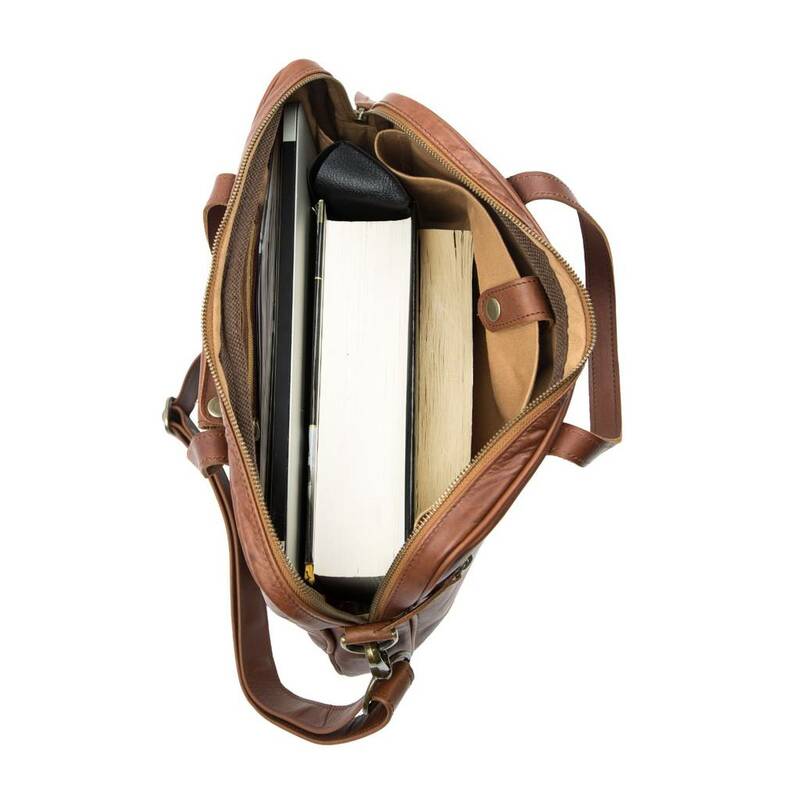 L38cm x H27cm x W6cm. 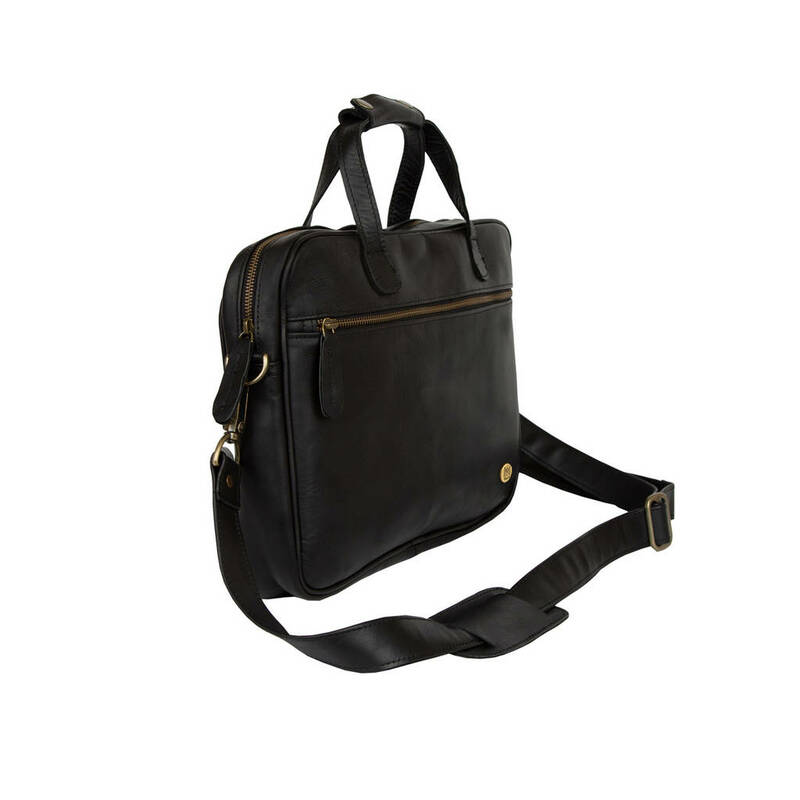 Extendable shoulder strap: L78cm - L145cm.